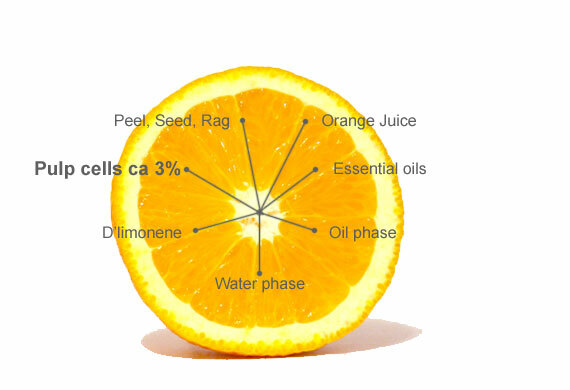 In citrus Juices the addition of pulp cells (also known as floating cells) is commonly used to create extra mouthfeel and to give the Juice a more exclusive character. At the same time you increase the natural fiber content of the Juice. Addition of pulp cells to beverages with lower Juice content is often done to give the beverage a more juicy appearance. During processing of the fruit the pulp cells are removed from the Juice stream in different steps. After pasteurization the pulp cells are packaged in drums or cartons and kept deep-frozen until used by the final bottler.